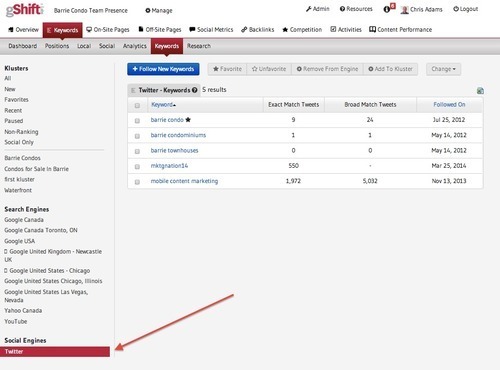 Social keywords has its own panel and we put in spark line graphs to enhance the “real time” nature of the data and to also point out if there are ups and downs when the exact match keywords are found in Twitter. The presentation has improved. (see below). 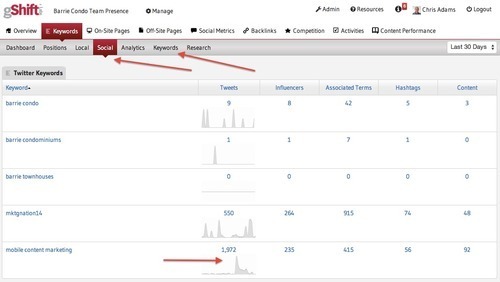 The managing of social keywords has moved into the central keyword management location. See below. This location controls Klusters, Engines and Social Engines (Twitter).